Young children get swimming lessons and learn water safety skills. Image by Kimberly Glaster, used by permission. There are thousands of tragic stories about children, teens and adults drowning in swimming pools, rivers, lakes and oceans. Fortunately, most of these can be prevented by doing just three things. One: Wear a life jacket (or PFD–personal flotation device) in open water. In late May, water temperatures in lakes and rivers can be deceptively cold despite the warm sun. Rivers and lakes this time of year can be filled with swiftly moving debris which can trap unsuspecting swimmers and drag them under the water. Additionally, there may be state laws and local ordinances requiring the wearing of PFDs. Click here for an example of the Kids Don’t Float campaign. 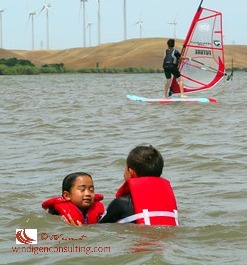 The Sacramento County Board of Supervisors adopted an ordinance in 2008 that reads, “It is unlawful for any parent to permit his or her child under the age of thirteen (13) in his or her care to access any public waters unless said child is wearing a life preserver.” Violation of the ordinance is punishable by a fine of $500 and/or six months of jail. Two: Parents, WATCH YOUR CHILDREN! 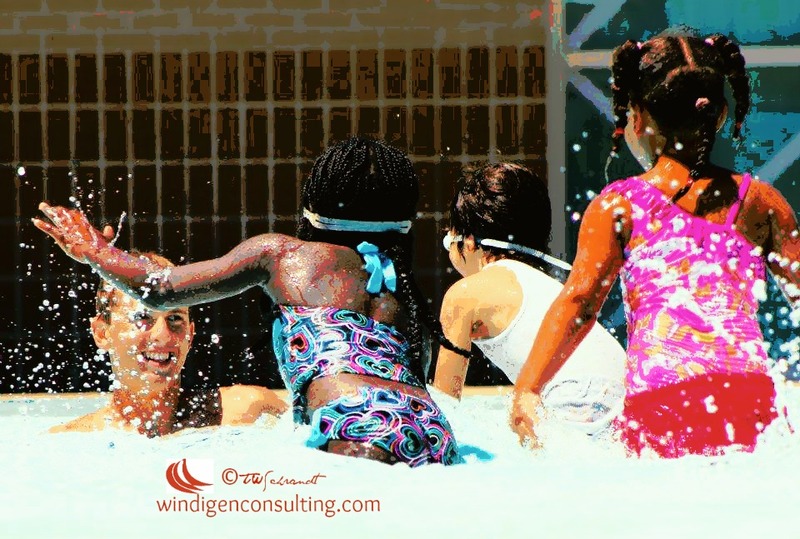 Do not assume someone else is going to watch your child at a backyard birthday pool party, or that the lifeguard will see your child in distress in a crowded swimming pool or beach front. It is simply YOUR job to watch your child. Taking classes in CPR and first aid is highly recommended. In 2012, the US Coast Guard counted 4515 accidents that involved 651 deaths, 3000 injuries and approximately $38 million dollars of damage to property as a result of recreational boating accidents. Four (Bonus Tip): Educate yourself about water safety. Just about every country has free, educational resources for water safety. The Red Cross organizations in the US, Canada and Australia, and the International Red Cross are a wealth of information. I work in Pediatric rehab and these are very important tips. The results of a near drowning are devastating. I wish there were more ‘reality shows’ that took people into the rehab area of hospitals. It would be a better education than ‘stories of the ER’ type shows. Thanks for sharing! I bet you have seen your fair share of patients who have suffered from the effects of near drowning, thank you for your comment! A very timely post that needs everyone’s attention. I am not sure if it is so, but some years ago, Brazil (Rio de Janeiro to be more specific) broke the world record of people drowning at the beach. It can go so fast.. Thanks for sharing it, Terri! Excellent post Terri! We can become very blasé at times and then it is too late when something happens. Thanks for sharing with us at #Wednesday’sWisdom. I look forward to your posts. There is a great article on Slate (dated 5/22) titled “Drowning doesn’t look like drowning.” Interesting and eye-opening. You might want to take a look. This is important information that every parent with small children should read. Thanks, PJ, I often wish that parents would model the good behavior or safety around their children!